I was out with a friend that I hadn’t seen in quite some time the other day. We were catching up about what was going on in our lives. You know, all of the fun stuff. The last time I saw this person was when I was swimming in a large amount of credit card debt. I was still spending more money than I was earning and I didn’t have a care in the world. This friend always thought that I was making it in the world. I would cover tabs, buy drinks, and buy people gifts. I was living way beyond my means and one reason is that I wanted to impress my friends. So, for those that don’t know me, I was acting stupid. Plain and simple! My friend and I were out at a restaurant catching up and eating some good food. When the time came to get the check, I asked to split it. Now, this would seem normal for most people, but since my friend would usually get a free meal from me, he was a little taken aback. On top of the check splitting, I also pulled out a coupon! Yep, I had a coupon at the restaurant and I was going to use it. Sue me! Now, you can imagine that this sparked some conversation. I usually have no problem telling people about my previous money issues. I do it everyday on my blog. The problem here was that this friend had no idea that I was terrible with my money years ago. He thought I was making millions with my e-commerce business. It was time to fess up about my money mistakes and give it to him straight. After about 30 minutes of explaining my life story, or at least my debt story, my friend and I started to pay our tab. I pulled out my coupon and threw down my Arrival World Mastercard. Then, he hit me with a word that I don’t typically hear. Most people that I know don’t call me frugal. The tone in his voice was with surprise, but also making it sound cheap. My friend was really calling me cheap because I used a coupon and I checked my bill with great detail. I was a little offended about how he used the term. What he meant to use was cheap. Frugal and cheap are not the same thing. If he would have used the correct tone and called me frugal, then I would have been okay with it. Instead, he was putting me down in a way by using frugal as a synonym for cheap. I am not cheap. You won’t ever see me rummaging through the trash to find leftovers. I won’t forgo toilet paper to save a few cents. I find that a little crazy. See, the common definition of frugal is to be sparing or economical with regard to money or food. I like to pull one word out and that is “economical.” That is what I consider myself to be. I am economical. I think about every purchase. I make sure that I can save money when I can. I work hard not to overspend. I don’t mind being called frugal. I think it would be a compliment. What I do mind is being called frugal, but it being used as a synonym of cheap. Calling someone cheap is demeaning especially when they are just good with their money. I think the word frugal has gotten a bad rep. I would liken the issue to reality television and people just hearing about others doing crazy things. They then push the frugal word in there and people associate it with cheap. If someone is being frugal, then call them such. Don’t give the word a dirty undertone and associate it with cheap. It makes me feel dirty when it is done that way! I did ask my friend if he meant to call me cheap, and he laughed and said “yes”! I simply told him that I am good with my money and don’t mind saving with a coupon and making sure I am being charged for the services that I used. No problem in that. I think he gets my point now! Have you ever been called frugal, but it came with the undertone of cheap? On another note, have you ever been called cheap? He might have been. I don’t mind jealousy. It tells me that I am doing something right. I agree with you DC. Cheap is a negative term, especially these days. I don’t typically have these conversations with people, but this is someone that I know very well and it was a situation that warranted it. Cheap when you’re gong out with friends is having them cover part of your tab. Frugal is being smart with your money when you go out. I guess a lot of my friends were cheap back then. I covered their tabs often, but won’t do that now unless I invite you to dinner for a reason. I’ve never been called cheap, but I can see why his use of frugal upset you. I think 10 years ago, many people confused cheap and frugal. But now after the recession and people changing their money habits for the better (and hopefully sticking to it) more and more are frugal and now know the difference to be frugal. In fact, I would argue that frugal is “in” right now. I agree Jon. Frugal is in right now and I am proud to be money conscious. I think the reality is that a lot of people don’t really understand the difference. It’s kind of taboo in our society to be so money conscious and I think it throws people off. Because it’s outside of the norm, the quick assumption is that there’s something wrong with it. I know I’ve felt similarly uncomfortable around friends because I didn’t feel like they really understood the motives behind my behavior. You are probably correct there Matt. People are used to seeing people spend money like it was raining down on them. They have shows on TV showing that all of the time. My brother calls me cheap ALL the time. It’s frustrating, because I think I’m frugal. But that’s just me. I think using coupons and ensuring there is no errors on your bill is good form! I don’t think it’s cheap at all. I’m glad you explained it to your friend. Thanks Daisy. You keep being frugal and enjoying what it brings! I don’t care what people call me. I retired at age 50 totally debt free. Those nay sayers are still working. Every time I make a financial decision that saves me money, I don’t think of it as deprivation. I consider it an ‘investment’ in to the continuation of the better quality of life I am currently living. And enjoying. Using a coupon AND splitting the bill was genius. I respect and admire you. I would have been very thankful you had a coupon AND I would have insisted on only paying my share. As a thankyou to you for the coupon, I would have paid the whole tip or bought you a dessert or coffee or whatever you wanted. You are a dear, true friend. I like what you said about being cost-effective. That is a good term to use. You keep on rocking there Cindi! It’s not something I commonly experience but it has happened before. It’s too bad that “frugal” could have a bad connotation. I hope in the future the majority of people start to frown upon wasteful spending the same way we’re now starting to frown upon smoking and being frugal becomes the norm rather than the exception. I think it is slowly turning around where frugal is what you should strive to be. We just need time to get rid of the bad connotation. Well, my title worked then. I wanted people to ask why I would be offended by the word frugal. It is just how it is used. I’ve never been called frugal, but I have been called cheap many times. I guess that’s what happens when you put a load of 99 cent bread in your desk drawer with a jar of peanut butter and jelly. Oh, and that is the only thing you eat. Yeah, I get it a lot from my coworkers, but I always explain, spend your money how you want to and I’ll spend mine how I want to. You can eat what you want from any location you want. That decision is up to you. You might have better plans for your money. I think that was kind of rude of your friend. To me HE sounds cheap in that he somewhat expected you to pay. Or at least the undertone of that was there. Maybe like Laurie said he is jealous. My friends are all totally cool with my money situation, and in fact like to hear the things I do to save money. I did lose a few friends in the mix when I cut back expenses, but good riddance to them. I am sure he understands my point now. He was just a little misguided. My Mom can be that way. She thinks I should have bought a new car years ago. She generally thinks that we are in dire financial straits if I am not spending like mad. It’s hard to explain that we are just being wise with our money. I guess for some people they assume if you had money you’d be spending it. Yeah, I think you hit it there Kim. People assume that if you are not spending money, then you are a cheapskate. I beg to differ. Hey Grayson, I’m loving the post! I’ve never been called frugal, but have been called cheap several times. I’m known by my friends as the guy that pinches pennies even when he’s got plenty to pinch. So, it’s a running joke in my circle, but I’m proud of that! I wouldn’t mind being known for that. You are the one that will be laughing when they are still working their asses off and you are enjoying retirement. Haha, great comment KK. You are right there. I call myself frugal and I think it is right. I am over here enjoying my wealth creation why others are trying to dig out of debt. I don’t mind being called the “F” word, because I am, but I would definitely be a little upset if someone called me frugal and said it with derision. And yeah, he might have been a little jealous, because he knows he should be better with his money. I’ve come across this a few times (even with family members) who don’t understand that there is a difference between being “cheap” and being smart with your money. Just keep on keepin on man. As they say, haters gonna hate. Well, I don’t know if I want to be called the “F” word, but that just depends on the situation and context. I will keep keepin on all the way to the bank! Someone can use cheap and stingy to refer to the same person. Both are not cool! You are spot on about frugal getting a bad rep. I get called frugal on a regular basis, but it’s often used with a more endearing tone than condescending. I think it’s more impressive that even though the word (and tone) irked you, you didn’t back down. Way to use that coupon! I get called names all of the time, especially when blogging. It doesn’t bother me. When people call me names, it means I might be doing something right. My frugal tendencies have definitely illicited eye rolls from friends before. I don’t know why people are so nasty when it comes to SMART money management. It’s probably because they don’t have the same money management skills. I sometimes pinch a penny until it bleeds, so when my friends call me cheap, I just laugh it off, and continue pinching away. This is different from your circumstance where your friend had been used to you spending extravagantly and was now being introduced to the new you. I think your biggest mistake was not mentioning that you wanted to split the check before the meal. Well, I didn’t invite him to the meal. We just met up there. I don’t think it should ever be implied that a friend is going to buy you a meal. I am with you there Shannon. I had to straighten him out. Good for you for using the coupon and explaining everything to your friend. Some people don’t get it! If others want to be blissfully ignorant as to how much they spend, or what they spend on, that’s fine, but don’t criticize me for doing the opposite. I don’t like the negative stigma being frugal has. Whenever I go out to eat, it’s usually because I have a coupon or there’s a special. I have gotten comments from coworkers insinuating I’m “cheap” because I don’t buy breakfast/lunch every day. It can be difficult being an “outsider,” but I’d rather have the extra money in my wallet at the end of the day. I have brought my lunch to work everyday and someone can call me frugal, but I am not cheap. Just smart with my money! Haha, I am sure he was expecting that, but I have changed. I guess he hasn’t. I got called cheap indirectly once by my dad. I was talking to him one day and got on the subject of me changing my own oil. He knows I make a decent salary so he commented on how he thought my older brother was the cheap one. It didn’t really bother me because I do it for more than just to save money. I enjoy doing the task myself and knowing exactly what is going into my car. I love changing my own oil. I work on all of my cars and I know them inside and out. It is a valuable skill. That’s no fun being called ‘cheap’ even if the word wasn’t used. Cheap is definitely something different than frugal, and he should respect your new-found appreciation for where your money goes. It’s definitely a way of judging someone and not knowing the whole story behind it. I actually don’t mind being called frugal, and sometimes even like it. My friends tend to respect me a lot more when they hear me out on why I’m using a coupon or will only go out during happy hour. I certainly don’t mind being called frugal, but when it was meant to use cheap, that is where I have a problem. There is a big difference between cheap and frugal. Between my firneds it’s like a competition to see who can get the best deals. We are all paying off student loans so I guess this is a big deal for us. I get called cheap all the time, by family, friends, and strangers. I’ve learned to accept it! I don’t think I’ve ever been called cheap … to my face! I used to call my dad cheap all the time, and I still think he and I are different because I take care of the stuff I buy. He just buys the cheapest he can and wears it into the ground 🙂 There are pros and cons to each method, I guess. But I think anyone who knows my dad wouldn’t dream of calling ME the cheap one! Great post. I think a lot of people maybe have a problem with differentiating between the words cheap and frugal. 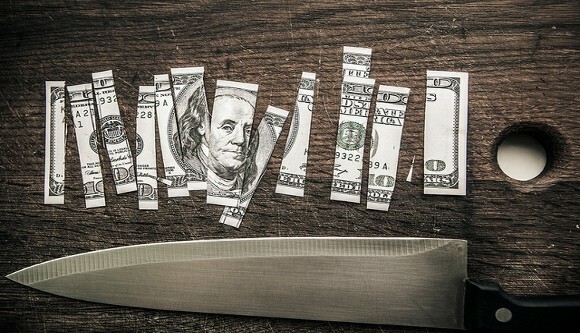 It is only those of us who are truly living in a frugal way who understand it. I know lots of people who aren’t frugal but who are cheap, as they waste money on things they don’t need to spend so much on but are cheap about other things. I am being called cheap on a regular basis, but I think it is just prioritizing spending. I spend more on travel than many people on rent. But some other things are simply not important to justify the spending. Those same people wonder why they are still stuck working 60 hour weeks while I haven’t worked a day job in 4 years so I just shrug it off. Your friend has a problem, not you. You’ll certainly get the “last laugh” when your money smarts serve you well throughout your life. Personally, I would laugh at someone who doesn’t use coupons or check the bill. That’s just leaving money on the table. That is what I have to say!!! Last month, had a friend called me “cheap” because I was economizing. Being a newcomer to Canada with no job then, and living off my savings, I have to be careful with my money! The sad part was that he knew all about my struggles and failed to understand. He said it was a joke and I was taking needless offence. But like you rightly said, the tone makes all the difference, and his tone was trying to put me down. Don’t care for such friends anyway. They are super careful with their own money, but expect you to be generous with yours.